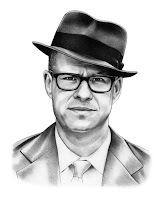 This is Max Boot, someone no one should ever listen to. Media analyst (and, full disclosure, my Citations Needed podcast co-host) Adam Johnson has deftly exposed the ubiquitous trope in the American press "that the US military always goes to war reluctantly—and, if there are negative consequences, like civilian deaths, it's simply a matter of bumbling around without much plan or purpose." This common theme is seen time and again in headlines warning against the United States absent-mindedly or accidentally "sliding," "sleepwalking," "stumbling," being "pulled" or "trapped" or "sucked" or "dragged" or "drawn" into confrontations across the globe, from Syria to Afghanistan to North Korea. A Washington Post headline from August even insisted: "We won't go to war with North Korea on purpose. But we might by accident." 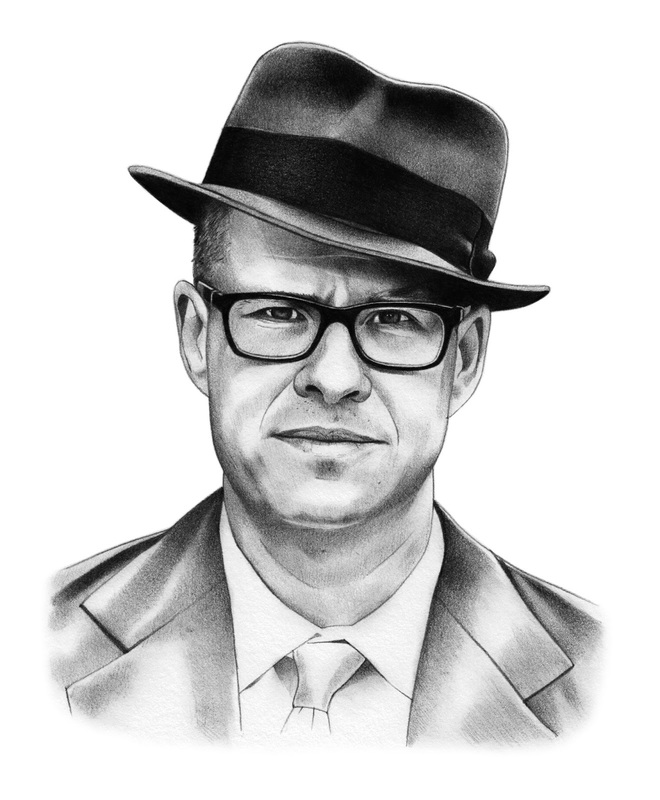 One of the most recent offenders of the "ooops, we might slip into a war" meme is chronic militarist Max Boot, who took to the pages of Foreign Policy last week to suggest Donald Trump tune into the new Ken Burns and Lynn Novick documentary series on Vietnam to educate himself on the consequences of bad decision-making. The piece, using Vietnam as a cautionary tale, is exactly what you'd imagine it to be. Boot frets that Trump is "risking a repeat of one of the mistakes that ensnared America in the Vietnam War," and suggests Trump watch Burns' series "to see what can happen when the U.S. acts too aggressively and thereby stumbles into a ruinous war." In 1964, President Lyndon B. Johnson committed himself to defending South Vietnam from North Vietnamese aggression. At the same time, he authorized a covert campaign known as OPLAN 34A to send South Vietnamese commandos on raids into the North supported by the U.S. military. Johnson had no idea that in so doing he would be goading North Vietnam into a war with the United States. But that is just what happened. See? Benevolent America is "committed to defending" our allies against enemy "aggression." So, the United States "supports" various military actions. And then - whoopsie! - the U.S. is suddenly at war. How ever did that happen?! One of Johnson’s covert attacks took place at midnight of July 30, 1964, with South Vietnamese naval commandos raiding two North Vietnamese islands in the Gulf of Tonkin while the destroyer USS Maddox was steaming 120 miles away. There was no direct connection between the commando raid and the Maddox’s intelligence-gathering patrol, but the North Vietnamese did not know that. On Aug. 2, three North Vietnamese torpedo boats attacked the Maddox without doing any damage. Then on Aug. 4, another North Vietnamese attack was reported on the Maddox and its sister destroyer, the Turner Joy. The two destroyers fired 372 shells and at least four depth charges while reporting that they had dodged multiple torpedoes and enemy gunfire. Yet American pilots overhead could not see any enemy ships. It later became obvious that the second attack had not really happened. But by then Congress had passed the Gulf of Tonkin Resolution, giving Johnson a blank check to wage war against North Vietnam. The eventual result: nearly half a million U.S. troops in South Vietnam, with 58,000 of them coming home in body bags. Of course, Boot makes literally no mention of the millions of Vietnamese and others murdered in Southeast Asia by Americans. He also skips over the part where, even at the time, the American leadership wasn't positive anything had actually happened in the Gulf of Tonkin, not merely "later" on. President Johnson was told at the time, according to Burns' own documentary, that an attack on the Turner Joy was "probable, but not certain." Hardly an authoritative analysis upon which to go to war. Yet, Johnson and his top cabinet secretaries had already prepared a Congressional resolution to increase American military involvement in Vietnam. Journalist I.F. Stone, at the time, was questioning the official narrative of "unprovoked attacks" and "retaliation." And two Senators voted against the Tonkin Gulf Resolution due to their disbelieving the White House's version of events. So, warning against escalating rhetoric with North Korea, Boot urges "containment and deterrence" and hope for the rule of Kim Jong-un to eventually simply collapse. He thinks that plan might just work, "as long as we don't stumble into an unnecessary and calamitous conflict first because of our president's macho posturing." Boot's track record of advice is troubling. On October 15, 2001, as the ruins of the World Trade Center still smoldered in lower Manhattan, Boot took to the pages of Bill Kristol's neocon bellwether The Weekly Standard to advocate for a boundless American imperium. It will probably not be possible to remove Saddam quickly without a U.S. invasion and occupation--though it will hardly require half a million men, since Saddam's army is much diminished since the Gulf War, and we will probably have plenty of help from Iraqis, once they trust that we intend to finish the job this time. Once we have deposed Saddam, we can impose an American-led, international regency in Baghdad, to go along with the one in Kabul. Instead of not destroying foreign countries, Boot was more interested in pursuing "ambitious goals--such as 'regime change'," which he claimed "are also the most realistic." After all, he suggested, "Occupying Iraq and Afghanistan will hardly end the 'war on terrorism,' but it beats the alternatives." Clearly, that went well. Nevertheless, Boot remains an unrepentant advocate of invading Iraq. In 2006, he wrote in the Los Angeles Times that, when it comes to Iran, "we need to think about a tougher approach to regime change." Five years later, in the same paper, he openly called for "a bombing campaign" against Iran's nuclear facilities. 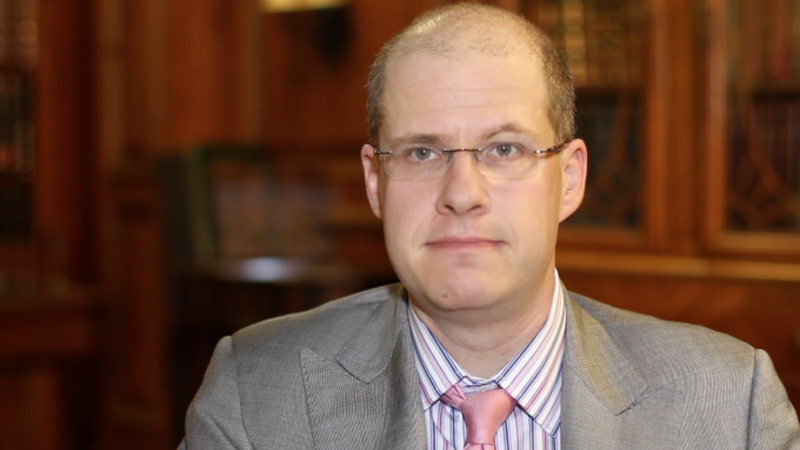 In 2012, Boot wrote no fewer than six columns in Commentary advocating either the American or Israeli bombing of Iran - three times in January alone. That same month, Boot insisted that "Time Is Running Out in Syria" for the United States to force regime change and topple the Assad government. Ten weeks later, Boot was less adamant, contemplating that "Time May Be Running Out in Syria." In September 2012, Boot promoted the advice of a retired Israeli general calling for a "Western aerial campaign" against Syria. Iraq was difficult, but hardly an irretrievable disaster and certainly not a Vietnam-size disaster. After six and a half years of war, the United States has lost over 4,300 service personnel in Iraq--a sobering and substantial figure but still 13 times fewer fatalities than we suffered in Vietnam. Just as important, all indications in Iraq are that we are winning. Boot, who prides himself a military historian, is determined to rewrite history so it suits his preferred, undefeated American Empire fantasy. Indeed, he's even claimed that, "in Vietnam between 1968 and 1972 we did more or less win," lamenting, "but we failed to stick it out." Perhaps most egregiously, Boot makes this claim, totally (deliberately) ignoring the killing fields presided over by U.S. troops for a decade: "We now know that America's defeat was a tragedy for the people of Southeast Asia." Boot finger wags at the fatalists in the press who don't trust in U.S. imperial dominance. "Rest assured," he wrote in 2009, "a history of being consistently wrong has not deterred all those Boomers who came of age in the 1960s from once again evoking the specter of you-know-what to warn against involvement in Afghanistan." and he doesn't even know it. While Boot advises against "goading" a constantly threatened nuclear-armed state into confrontation, a non-nuclear state is apparently fair game. Boot's Foreign Policy follow-up to his recent North Korea/Vietnam article is one in which he suggests Donald Trump keep the United States committed to the Iran Deal, while simultaneously "attack[ing] the [Iranian] regime." Boot beseeches the same president whose "over-the-top bellicosity" so concerns him and who is "far too erratic to be predictable" to - as is the eternal neocon refrain - "take other steps to check the growth of Iranian influence." So, despite knowing that "Trump's impetuosity and ignorance, his saber-rattling could easily spiral out of control, in both Iran and North Korea, leading America into one or more wars that nobody wants," Boot argues for increased anti-Iran aggression anyway to stop Iran's so-called efforts to "Lebanonize" both Iraq and Syria. The Shia Crescent garbage is recycled here, of course, with Boot collapsing on the fainting couch while claiming, "Iran is now on the verge of controlling a land route running all the way from Tehran to Beirut — the new Persian Empire." Arming more militias and, uh, "moderate rebels" is apparently the answer (I mean, hey, what could go wrong?) and forming more mercenary groups to do Boot's bidding. The rest of Boot's plan is just as asinine - half-baked fantasies about partial Syrian regime change and blowing off the obvious absurdity and murderous colonial consequences of "deepen[ing] American involvement in both Syria and Iraq, carrying risks of increased casualties and effectively committing the United States to a dreaded role in nation-building." Anything Boot can do to keep American boots on Middle Eastern ground, he'll do. And, of course, his "history of being consistently wrong" won't be a deterrent.